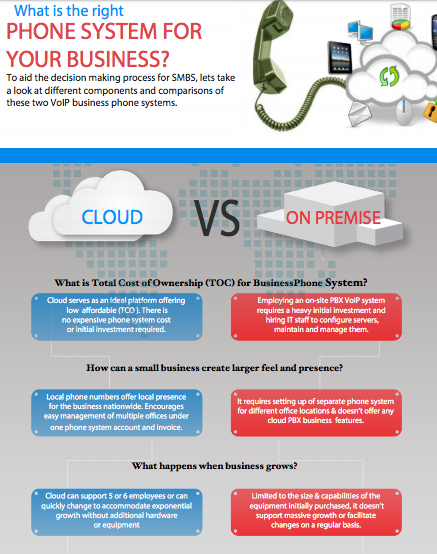 Cloud vs Traditional Business Phone System: Cebod telecom "
Cloud vs Traditional Business Phone System- Which is better? As a business owner you have a ton of decisions to make to guarantee that your business is able to run as smoothly as possible. One choice that you have to make is whether or not you want a cloud business phone system or a traditional phone system. Today, we are sharing with you some insights on both so you can decide which phone system will be best for your establishment. The Cloud business phone system is what we would recommend to our customers who are looking for a reliable way to communicate with their clients and don’t want to have an expensive phone bill to pay every month. In addition to your phone bill being cost effective, cloud systems also don’t require any initial investments because there is no equipment that has to be installed. The best part is since everything is stored in the cloud you never have to worry about your important information being lost and it is very secure. While a traditional business phone system may be the initial choice for some businesses it doesn’t come with any of the safeguards or leisure’s that a cloud system provides. It can be expensive to get started with this option because in addition to getting everything installed you will also need to hire people to manage your servers. If any unexpected emergencies come up and your business has to move or loses power, you are also putting your company at risk of having to start over from scratch. The logical choice here would be to go with a cloud based system as it is an effective and affordable priced way to keep communication open within your business. It grows with your business and doesn’t require you to hire on any additional staff or incur any additional expenses each month. Our team of experts can help you get started today if you like. 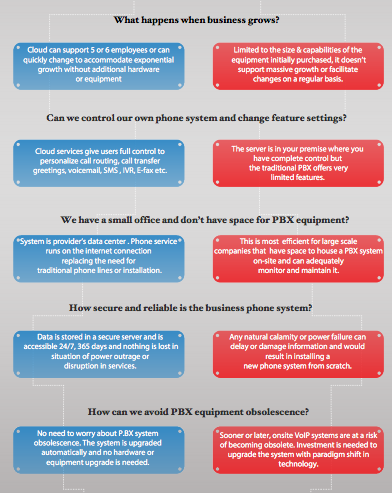 Before making the decision as to which business phone system you want to use in your workplace take a few minutes to check out this informative infographic below. We have taken the time to answer the most common questions we receive from our customers for both the cloud and traditional business phone systems. 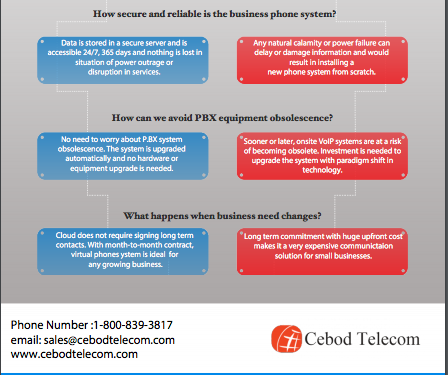 Weigh the pros and cons of each phone system and then give us a call today!